Wearing a flowing gown, this serene angel with detailed outstretched wings is a reminder that angels are always watching over us, guarding us, comforting us, and praying for us and our loved ones. The angels are a beautiful rich creamy ivory color with a light dusting of angelic glitter on their wings. 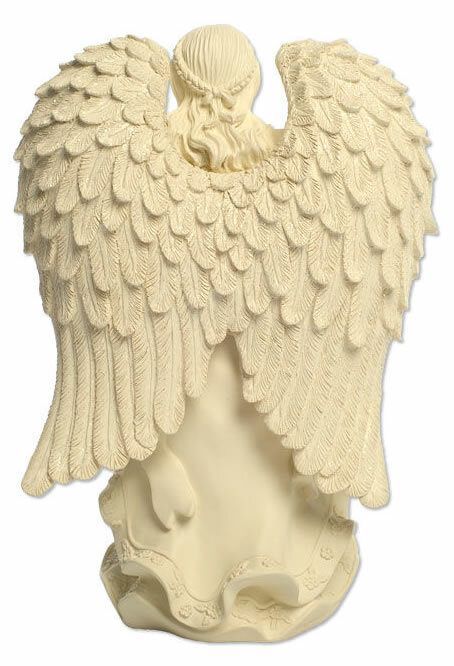 Crafted from high quality cold cast polystone, these graceful angel urns have the look and feel of carved stone, and the intricate details are readily apparent. Because these urns are made of a resin and stone mixture, they are also suitable for display in a sheltered area of your garden. 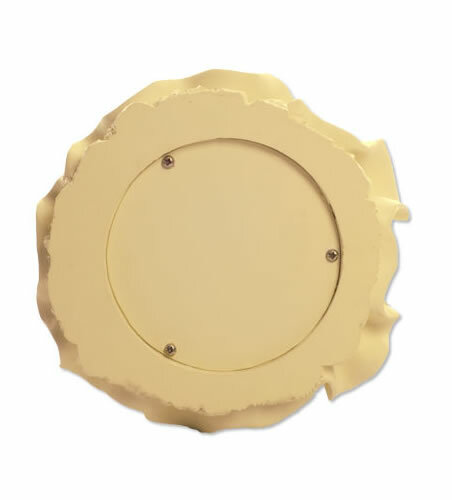 This urn opens from the bottom by removing a plate and screws. As with any urn, it is important to keep the cremains in a sealed plastic bag inside the urn. ** Note: Shipping weights may be calculated using UPS Dimensional weight for air shipments which are not the actual physical weight.